John McDonnell argues for UKIP Voters’ Veto on Labour Brexit Policy. Vetoed by UKIP Supporters, Says John McDonnell. On eve of conference, shadow chancellor defies calls for party to promise second referendum. The new Pamphlet from the Left Against Brexit says. 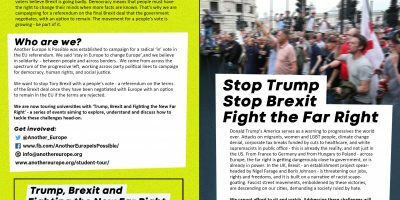 It’s increasingly clear that there is no such thing as a ‘good Brexit’, let alone a ‘people’s’ or ‘left’ Brexit – and this reality is gradually becoming obvious to millions of people in Britain. Brexit, after all, has always been a right wing project. Ardent eurosceptics from Nigel Farage to Daniel Hannan have long harboured a nationalist dislike for the idea of European unity – a hostility that has always gone alongside an aggressive support for Thatcherism and an extreme free-market ideology that yearns to emulate the US by, for example, abolishing the NHS. There is a distinct radical case for staying in the EU, which starts from the assumption we cannot light a path to a new society through nationalist division. Instead, we need to work together with our allies across Europe to realise a bold and transformative socialism.Radicals need to make an unromantic assessment of the tasks at hand across the continent. The EU has many negative qualities – just look at its treatment of Greece (page 29). But the solution to this can only be brought about – like so many issues we encounter in the twenty-first century – through international cooperation, not ‘going it alone’. Staying in the EU and working across borders to tackle the many problems the continent faces is the best and only viable option. The alternative is to roll the dice on a Tory hard Brexit and hope for the best. Faced with this choice, leadership from the left is now required. Our strategy for battling Brexit and the rising far right starts from an understanding that only the left can win against the encroaching darkness. Only a transformative, socialist vision can compete with the politics of hate and the reality of social crisis. And the agents of change will be workers and ordinary people – in all their diversity – not the morally bankrupt establishment. This analysis parallels this present Blog’s views on Sahra Wagenknecht’s Aufstehen and the French sovereigntist ‘left’. One can add that the Brexit ‘left’, which may be in a position to dictate these view inside the Labour Party, may be visibly failing, but still needs to be defeated. 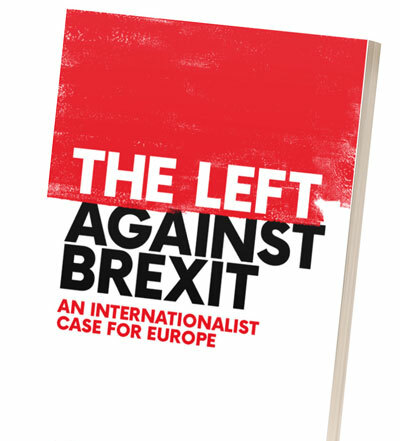 The alternative internationalist strategy of the Left Against Brexit needs active support. It’s in this vein that Michael Chessum says that UKIP should not decide Labour Policy. By backing a referendum on the deal, Corbyn can prevent a split in his party and lay the foundations for electoral success. We heartily endorse this analysis and these views. « The Fractious Background of ‘left Populist’ Jean-Luc Mélenchon, Guest of ‘The World Transformed” at the Labour Conference.